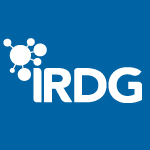 On 7th May next, SAP will host IRDG members on an Innovation Practice Group visit. This is a great opportunity for members to see how a company in the services / software sector conducts it’s Innovation. Headquartered in Walldorf, Germany, with locations in more than 130 countries, SAP AG is the world leader in enterprise software and software-related services. SAP develops software applications that enable companies to run operations, including finance, customer relationship management, human resources and supply chain management, more efficiently. SAP Ireland employs more than 1300 employees in 3 locations: Dublin, Galway and Belfast. In 2012 the SAP Dublin AppHaus was opened to extend the office space for the increasing number of employees. It reflects the next generation office space to foster collaboration, flexibility and a mobile mindset. As everything is on wheels and employees can scribble down ideas on every wall within the office, this office space enables employees to create innovative software that is purpose built and exceeds customers’ expectations. A short video of the AppHaus will give a first impression what participants can expect: http://www.youtube.com/watch?v=eVq5ZzJzsis. The concept of the AppHaus earned them ISA Multinational Cooperation Initiative 2012. Innovation Practice Groups are hosted by companies, who generously share their experiences of Research, Development and Innovation. In many instances they will also be joined by external, expert, guest speakers. Combined, this input provides a real practical learning environment, where the practices being discussed have already been tried, tested and evaluated. The goal of these sessions, therefore, is to inspire members to think about the practices, tips and techniques which might assist them in day-to-day life in their companies – what is it that could make a difference? how could they leverage these same ideas?